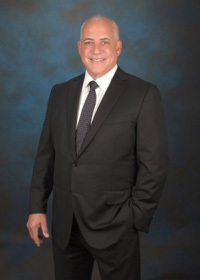 Lloyd Zucker, MD has dedicated the past two decades to the neurosurgical care of the constituents of Palm Beach County. As a board certified neurosurgeon, he diagnoses and treats all aspects of neurologic illness, including brain and spine. With appointments as the Chief of Neurosurgery and the Director, Neurosurgical Services at Delray Medical Center he has championed bringing the newest state of the art technologies to the tri-county area.He cares for brain conditions including brain tumors, intracerebral hemorrhages, hemorrhagic strokes as well as all types of brain trauma. Utilizing technology from Synaptive Medical and NICO Neuro’s Brainpath he performs minimally invasive craniotomies, accessing deep lesions within the brain previously though to be inoperable. If necessary, craniotomies can be done awake, allowing monitoring of the subtlest aspects of motor, sensory and language function. He is co-director of the movement disorder program at Delray Medical Center, performing Deep Brain Stimulation surgery for the treatment of Parkinson’s disease and Essential Tremor. With a fellowship in complex spinal surgery and spinal instrumentation he cares for diseases of all areas of the spine, cervical, thoracic and lumbar. He addresses degenerative spinal disease including spinal stenosis and disc herniation; compression fractures, spinal trauma and the surgical treatment of chronic spinal pain. Under his guidance Delray Medical Center is equipped to handle from the routine to the most technically demanding cases. Dr. Zucker subspecializes in a variety of neurological areas including radiosurgery, neuro-oncology, stereotactic procedures and the use of Monteris NeuroBlate® System MRI-guided Laser Interstitial Thermal Therapy for ablation of brain tumors (LITT). He leads clinical trials in the treatment of brain tumors including fluorescent-guided surgery for gliomas and trials involving traumatic injury to the brain and spinal cord. Dr. Zucker has presented extensively to other physicians on minimally invasive spine surgery, treatment of brain tumors and many other topics. In addition, Dr. Zucker regularly attends national meetings and symposiums focused on the latest techniques for treating complex disorders of the brain and spine. Not content with the status quo, Dr. Zucker continues to expand his capabilities by exploring new treatments and techniques, visiting and training with colleagues at major private and academic centers. He has contributed to research in the fields of neurotrauma and neuro-oncology, bringing state of the art technologies to the patients of the county. With his ongoing desire to teach he trains colleagues from both local and other locations in these technologies in an effort to improve care and outcomes for those afflicted with neurologic disorders. This commitment to teaching begins with the youngest minds. He has established a pre med mentorship program at American Heritage School in Delray Beach. As an assistant affiliate professor at the Charles E Schmidt School of Medicine at Florida Atlantic University, he contributes to the teaching of medical students, interns and surgical residents. He additionally has a staff appointment at the Boca Raton Regional Hospital and the Marcus Neuroscience Institute. These accomplishments would not have been possible without a solid educational foundation. A graduate with honors of the prestigious Johns Hopkins University, he finished his undergraduate career in an accelerated fashion finishing in three and a half years. His hard work was rewarded by being invited as an undergraduate to do research at the word famous National institute of Health. Medical training at Rutgers University/ University of Medicine and Dentistry of New Jerseywas followed by a neurosurgical residency at the University of Connecticut/ Hartford Hospital. His extended training was completed by a fellowship in complex spinal surgery at the University of South Florida/ Tampa General Hospital. Since he entered into the field of medicine, Dr. Zucker’s career in his words has been guided by two basic tenets. “To be able to care for patients and to be entrusted with their futures is a privilege and an honor. Only by presenting a patient with an honest, transparent evaluation of their problem can they make an educated decision of the path to follow. This is and always will be the ultimate responsibility of the physician.” Most importantly patients praise him for being dedicated, compassionate and generous with his time. They realize that in his hands they find a skilled surgeon while at the same time one for whom surgery is never the first option unless absolutely needed.